RCI Points timeshares are popular and quite well known. In comparison, Interval International’s point system (aka “Club Interval Points“) has been flying under the radar. It has been around for a while, but it’s not widely used, and most people know little about it. There are some key differences between the Interval and RCI timeshare points systems. Here’s how Interval points work. Terminology. When you join this program, you become a member of “Club Interval Gold”, which lets you use “Club Interval Points” for timeshare exchanges. Membership types. “Club Interval Gold” is different than the normal “Interval Gold” membership, which is merely the upgraded individual membership (along with “Interval Platinum”, the highest membership level). I know, it’s confusing! Specific resorts. Only certain resorts participate in this program. If you own a timeshare, or are buying a timeshare, at one of these resorts, you may be offered a chance to join the program. Joining the points program. If you already own a week at a participating resort, and want to join the points program, you need to pay an additional fee to do that. If you are buying a timeshare from the resort, this membership may be included in your price. It’s optional. Participation in the points program is optional, and if you own a timeshare week, you can choose to just keep it as-is. Getting points. If you own a timeshare week which has been enrolled in this program, then when you deposit this week with II, you can get a certain number of Club Interval Points placed in your account. You can then use these points to book vacations. The grid. Interval International publishes a grid called “Club Interval Weekly Points Values”, which is the key to this system. This grid determines how many points you get when you deposit your week. Here is a snippet of the grid to illustrate how it works. The full grid is much larger. How the grid works. As you can see, two major factors that determine your points are your unit size and the TDI (Travel Demand Index) for the week you’re depositing. These two factors narrow it down to a range. For instance, if you deposit a 2-bedroom with TDI 115-130, you get 65,625 to 87,500 interval points. How TDI works. TDI shows the demand for your specific week. High season and holiday weeks have a higher TDI than mid or low season weeks. Other factors. Within a range, the actual points you receive will vary based on the demand for your destination, and the quality of the timeshare resort accommodations you’re depositing. Lose points if you wait. If you deposit at least 120 days before the check-in date of your week, you will get the full amount of points that your week is worth. As you get closer to the start of your week, depositing it will get you fewer and fewer points. You cannot deposit your timeshare week less than 2 weeks before the start date. 2-year expiration. Your Club Interval Points are good up to two years after the check-in date of the week that you deposited. This is the same time period you’d have if you deposited a normal timeshare week. The difference is that you can extend weeks, but you cannot extend points. Booking a vacation. The same grid controls what you spend to book a vacation using your points. When you want to book a full week at some resort, the unit size and TDI you want determine the range, and then the points for that specific resort will fall somewhere within that range. Short stays. You can book short stay trips of 1 to 6 nights if you don’t want to spend a full week. Week nights (Sunday to Thursday) cost 10% of the weekly points. Weekend nights (Friday and Saturday) cost 25% of the weekly points. Multiple vacations. You can book as many vacations as you have points for. If you’re booking a timeshare that is comparable to the week you own, that will probably be one vacation. If you want to book smaller units, off-season stays, or short stay vacations, then you could end up with multiple vacations from your deposit of a single week. How do RCI and Interval points compare? No separate membership. 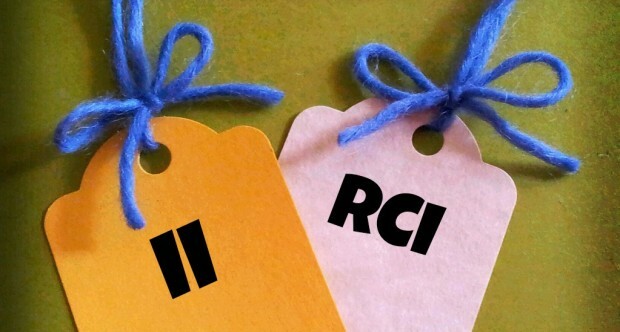 RCI has separate accounts and logins for RCI Weeks vs. RCI Points. For Interval International, this is not the case. Once you belong to Club Interval Gold, all of your II timeshares (except any in a separate corporate account) will be part of the same account. Some may be part of the points system, while others are not. No separate inventory. RCI keeps weeks and points inventory separate. With Interval ponts, there is not a separate set of inventory. No use years. RCI points has the concept of a “use year”. You get your points at the beginning of the use year, and expiration dates are counted from that date. With Club Interval Points, you get your points when you deposit your week, and the expiration date is counted from that week’s check-in date. Different booking windows. With RCI points, there is a somewhat complicated system of when you can book a vacation. To stay at most RCI points resorts, you can book your vacation 10 months in advance. With Club Interval Points, you can book a vacation up to 2 years in advance. No borrowing, renting, or transferring points. RCI points lets you borrow points from a future year, rent additional points from the company, or transfer points to another members. Interval does not currently have these options. You can’t sell the points membership. If you look at eBay or anywhere else that timeshares are sold, you will find many RCI Points timeshares for sale. If you upgrade your RCI week to RCI points, then you can almost always sell your timeshare as RCI points, and a new owner gets the benefit of that upgrade. On the other hand, the Club Interval Gold membership which lets you use Club Interval Points does NOT transfer to a new owner. If you sell the timeshare, you are just selling the underlying week. If the new owner wants to use it as points, they would need to pay to upgrade that membership again. Conclusion – Are Interval Points worth the upgrade? Since you cannot sell the Club Interval Gold points membership when you sell your timeshare, you need to consider the cost of the upgrade as a sunk cost. You cannot recoup this value when you sell. Think about how many years you anticipate using your timeshare, and divide the upgrade cost by that number of years. It will cost you that much per year to get the extra flexibility of using Interval points. Is it worth that much more per year? This will depend on your situation. 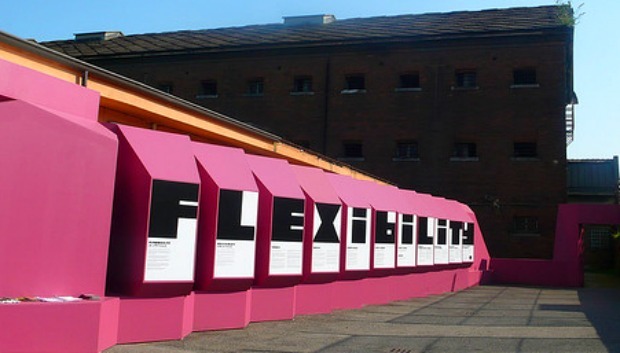 How much is greater flexibility worth to you? If you normally vacation a week at a time, and you have been happy with the timeshare exchanges that you have gotten through Interval International, then it is probably not worth the cost for you to get into the points program. On the other hand, if you think you would make a lot of use of short stay vacations, or want to use one high-value timeshare week to get several smaller or off-season vacations, then this could make sense for you. One other advantage to enrolling your timeshare week in Club Interval Points is that you can tell exactly how much it’s worth, compared to what you want in exchange. As mentioned in a recent post RCI vs. Interval – Filtering and transparency, that’s not so easy otherwise. Personally, I wouldn’t pay extra just for this, but you could view it as a side benefit. Have you used Club Interval Points? If so, what’s your experience with them? Are you thinking of buying into the system? I’d love to hear what you think, so please leave a note in the comments below. I think timeshares can be great, but they can also be confusing. This is partly because every system is different, and partly because timeshare salespeople are not known for explaining things properly and giving people the facts. 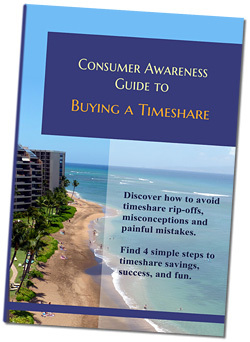 Be sure to check out this free Consumer Awareness Guide to Timeshares before you buy anything. It could save you a bundle of money, and some headaches, too. Should I buy a timeshare to get a certain exchange? Should I upgrade my week to RCI points? We are not happy with the points system that we was forced to get from our timeshare in Orlando .They made it sound so good and told us all owners would have to go to the points in the few years if they wanted to or not .Not only can we not find anywhere available we have to pay a fee to trade on top of the interval membership and mantiance fee.We are paying money to stay at our own resort. We could of rented to for a week cheaper that all the fees we have paid . I’m sorry to hear that you’re so disappointed with your move to timeshare points. Moving to points is not required. It is true that more of the industry is going that way, but there are still a lot of people who own weeks, and they’re still very usable. Paying more money to “upgrade” to points sometimes mean you end up paying more and owning less. We had an experience with that too, that I wrote in Timeshare Owners’ Update – Watch the Math. Unfortunately, it seems to be a common tactic for salespeople to tell you that whatever you have is no good anymore, and that you need to spend more $$$ to get something else. I’m sorry that you found this out the hard way, and wound up so unhappy with the results. Hopefully you’ll be able to find some good vacations with it eventually, even if it’s not the cheapest way to go. The same thing happened with us. I own weeks with Palace Resorts and they told us at Silver Lake that we can transfer those weeks into points with RCI. We wanted to use those points to pay for my airfare to Kilimanjaro this summer. It turns out we have to pay $448 for every week we want to transfer, there are no flights to Kilimanjaro through RCI, and if I wanted to fly into another airport in Africa, it was going to cost me double the amount of buying a regular flight outside of RCI. As far as I am concerned we have been completely ripped off and I am so disappointed in our decision to purchase this timeshare. They said that was the only way to get a conversion account through RCI. If we contact an attorney is there a way to get out of this agreement since the information they gave us was false? As to whether you can get this contract dissolved by hiring an attorney, I can’t say for sure. First, let me say I’m not a lawyer, and this is just my non-legal opinion. The risk is that you could lose the case and pay significant legal fees. Timeshare companies have more money for lawyers than you do, and their written contracts have probably been through rounds of legal review to try to make them bulletproof. On the other hand, sometimes the timeshare companies lose a lawsuit, and the consumer wins. There was just a big judgment against Westgate in a lawsuit where the sales people promised a couple specific things, but what they got was not the same as what they were promised. So the upshot is that sometimes it’s possible to win a case, but I’d say the odds aren’t in your favor, and you’d need to recognize the cost of taking them on. The more evidence you have to back up the promises they made (and broke), the better your chances. If you do decide to pursue a court case, I’d love to hear what happens with it, and I’m sure others could benefit from the story, too. I logged into our account and attempted to look up our resort to see what the point value for it would be or any of the other resorts, but I don’t see point values. It’s difficult to know how much of a value this would be unless we can see how many points we would actually need to spend to purchase time in a resort for a vacation. If others are doing this why aren’t point values also listed on the website too? Thanks for your comment. It’s certainly smart of you to want to see this, but II does not make this as easy to find as RCI does. You can get a rough idea by looking at the points charts that you’ll find in the printed II Resort Directory, in the “fine print” section (Terms & Conditions). It has a table that shows ranges of points for different unit sizes and Travel Demand Index values. From this, you could see that your timeshare would get something like “45,000 to 60,000” points, and what range of points you’d need to book other vacations. Unfortunately, that doesn’t tell you exactly where in the range your resort or others would fall. Hi, we just sat through a sales pitch on the point system and walked away. The most compelling aspect was the promise of increased availability in resorts with high demand. The sales person said that owners in the point system have a 97% chance of getting into the resort of their choice within two years and a 100% chance beyond two years. He said that as full-week traders our chances are now closer to 50% and will drop to 20% as more resorts move to the point system. Is there any truth to this? BTW: As we walked away, he tried to get us to sign a paper stating that we understood that by not buying into the point system, we know that we have limited availability and limited trading value. We refused to sign the paper and he said he was going to sign it for us. When we said we wanted to take a picture of the paper for our records, he became very unprofessional. Also, the initial offer to trade in our unit in a non-point resort and sell us a unit in his resort with points dropped about 66% when we walked away. Thanks for sharing your story. Personally, I think you made a good decision by walking away. I believe that the whole system in this industry of trying to pressure people into making quick decisions without time to fully research and understand their purchase is a bad thing. If everything was as great a deal as they make it out to be, then they should be happy to give you time you need to make up your mind, right? Anyway, I would chalk up all those statements you got as exaggerated and misleading in the best light, and something less charitable in a worse light. There is no way that they can guarantee you 97% or 100% access to the resort of your choice. That is ridiculous. There are resorts where the demand is much greater than the units available, and even if you have points, that is not going to change. And what about those non-point resorts, like the one you own now? II points is still a relatively small system, but they’re pushing it harder now. As time goes by, the ratios will start to shift away from weeks availability and towards more points availability, but that is going to be a gradual process, and it’s not something that has already happened, or that will happen next year. If you look at RCI points, which is a more mature and popular system, there is still substantial availability on the weeks side, too. Thanks, and best of luck with it! – Deanna. My husband and I were offered to upgrade into the Interval Points system. We own at Westgate. We declined the offer for many reasons including: 1.) Westgate is ruthless and they just want to drain your checkbook (after you go to the awful cattle call breakfast presentation)….like the Versailles Palace isn’t enough for the founder and his wife! HA! And not enough plastic surgery for her either! HA! 2.) It is very difficult to trade with Interval….and I am suspect that it is because they offer deposit requests 2 years in advance. This means you need to prepay your maintenance 2 years ahead as well. Who makes out the best in this deal? The resort developer. 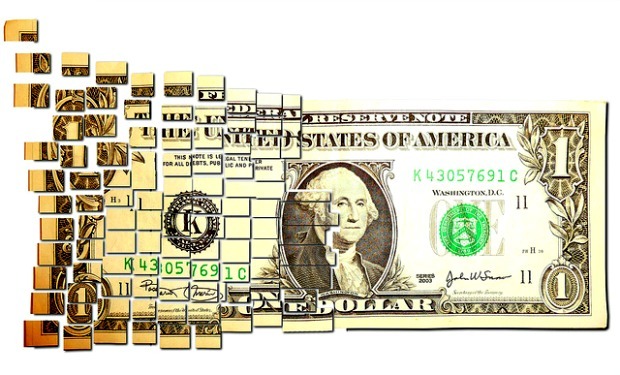 Do you really want to tie up your money that long and not be guaranteed a trade? Hmmmmmmmm. Thanks for sharing your experiences and the reasons for your decision – that can be helpful for others to see. Good point about depositing 2 years in advance, and the resulting need to pay your fees 2 years ahead. That does tie up your money quite awhile, and it also ties you into your II membership for that time, too. I purchased a westgate timeshare 7 days ago. I have buyers remorse. I’ve sent my cancellation letter 3 days ago. Can I still purchase a membership with interval ? It sounds like you got your paperwork done in time to rescind your purchase – smart move! 🙂 You can’t get an Interval membership unless you’re a timeshare owner, but there are other avenues to get a timeshare which can save you a lot of money compared to buying from the developer. Take a look at my free Consumer Awareness Guide to Buying a Timeshare, for some important tips. Hello Deanna – enjoying your candor on this blog so I’d like your opinion on whether my latest timeshare experience moving from weeks to points with II and Vacation Villages is a good one. I won’t waste your time rehashing what everyone on this blog has stated about the pressure sales, the signing of an “opt-out” document..etc.. it happened to us too and it’s rather pathetic… but it works (for them). Here are my details: For the past 5 years, had a week 17, 2 lock-out units totaling 4 bedrooms in a highly regarded destination in Williamsburg, VA. Paid $23,000. Also had II Gold for 2 bonus weeks which we hardly used due to the inflexible terms. After the high pressure “Owner’s Meeting” this past weekend, we ended up with the same number of units/rooms, a better week – 25 – but at the OTHER Williamsburg resort which is much older. Paid an additional $8,000 and got 206,000 points. All-in-all, I’m OK with the deal but I need to know if 206,000 point is a great value since I’m not familiar with this system yet. If it IS a great value, then I recommend to your reading that they should walk-out on the first 3 deals they offer.. the price WILL come down! a) The swap from one resort to another. Is a better week at the older resort worth more or less than what you had, in terms of exchange power, rental value, or eventual resale price? That’s hard to say – it could be a wash, I don’t know. b) The points. II points don’t transfer when you sell the timeshare – the person who buys it from you gets just the underlying week, not the points. That means that the value of the points lies entirely in what use you get from them over the years that you have it. For instance, if you own and use that for 15 years, the $8K comes to $533/year. Do you get an additional $533/year worth of vacations from this? You’ll have to see how it works out, and decide this based on the usage you get. c) Maintenance fees. You didn’t mention whether your fees go up, down, or stay the same. If they go up or down, you can adjust your calculations in b) accordingly. I hope everything goes well for you, and you’re happy with your purchase. I’d love to hear back once you’ve had a chance to use it awhile! – Deanna. We have been given the option to convert our points program from RCI to II because our resort has started to work with II. We would need to pay appx $3500 and our point would drop from 76,000 x 2 weeks to 66,000 x 2 weeks. (20k less a year). I can see from above comments that from a resale perspective this could really hurt us. Do you have any info on the strength of the points in RCI vs II? I definitely don’t like paying $3500 but what is more unclear to me is why we would give up points unless they are so much stronger in II. We have an oversized 1 br in Aruba during high season. Thanks for your comment! Points in one system are not the same as points in another system – RCI points, II points, Diamond Resorts points, Wyndham points, etc… You really can’t compare the numbers between systems, because they’re so different. However, as for the deal they’re offering you, you’re right about the resale issue – that’s a downside. My personal thought on this is that if you’ve been happy with your RCI points vacations so far, then I wouldn’t pay $3500 more to switch. Best of luck with it! – Deanna. My wife and I opted for the weeks to points on our timeshare units a Morritt’s Tortuga Club for $4,500.00 for our two units there in June. We felt pressured to do for the many reasons stated above. Two weeks ago while talking to membership about having 3 different accounts under Interval and having them consolidated under one number I asked how I could get my other 3 timeshares converted into the points system. Two others are with Morritt’s Grand in Grand Cayman also and one was located in Big Bear, CA. I was told that that if I added one or more years to my II gold membership ($148.00) that they could convert the other two Morritt’s units. I did the transfer to points. Did I just stumble across another way to convert or was this just a fluke? The Grand and Tortuga properties are different corporations and properties. Thanks for your message! So they enrolled your 2 other weeks in II points with no additional upgrade fee, just for extending your gold membership? That is definitely a much better deal than paying the normal conversion prices. I don’t know how many people they’ve offered such a deal, but it’s the first I’ve heard of it. Thanks for letting us know! – Deanna. We found one advantage of the points program is that you receive bonus weeks which would have been discontinued after ten years. We always use our bonus week for off season vacations. Thanks for your comment! For people who can make use of the II bonus weeks, they are a great thing, and you’re right that they work well for off-season vacations. Some people get these with timeshare weeks, as well as points. I’m happy to hear that things are working well for you! Thanks for your question! Whether you can do this depends on whether the resort where you own a week participates in the II points program. If they do, then you will probably be approached at some point to move into the points program (for a fee, of course). If that resort is not part of the points program, then you can’t change it – you need to use it as a week, just as you always have. Is it true if u opt out of converting to points, u won’t have another chance? Or if u do what is the possibilities of offering it at the same price. So they want to offer us 78,000 in points for $3000. We already paid $5000 for an every other year time share. We used it 3 times. We pay like $550 in maintenance fees. So if I take your advice and we use this 5 more times than we r really paying like $1150 every other year to go on vacation. Not sure it is worth it by the time u pay airfare. If I could talk them down in price how far down do u think they will go? Just thinking if I should do it y I am being offered as I may not do it ony own in the future or may not be offered it again until 2017. We do want to go to Hawaii and back to Disney again. Thanks for your comment! I think you’re smart to check the math that way, and question whether that total cost is worthwhile for your vacations. The other thing to consider is that if you use it for 5 more vacations, would you get $600 MORE value out of each of them than with your current system? If you’ve been able to take vacations you like with your timeshare the way it is, then I seriously doubt you’ll get more than double the value out of it by changing to points. As for what price they may go down to, I really don’t know. But I think it’s highly likely that you’ll get another sales pitch to convert to points in the future if you take a pass on this one. It’s not like they’re going to run out of points, and it’s a good way for them to make more $$ from existing owners. I have belonged to rci since 2005 with 60500 points . We bought into the caravanserai now the Algeria. The caravanserai went bankrupt and new owner null and void all timeshares. Can I still belong to rci with not owning a timeshare. All 2500 or so timeshare holders out money plus rci points or weeks. Can I just buy rci points and still belong. Thank you. You can keep your RCI membership as long as you keep paying the membership fees. That will give you access to the Last Calls & Extra Vacations, but you won’t have any points to use unless you buy another timeshare. Hi Deanna I just purchased a 2 yr trial for $1,000 with club interval giving me 40,000 thousand points per yr to try them out. Is this a good move too see the clubs true colors????. Or they got me. ( concerned). Thanks for your message! I can’t say whether you’ll get enough value out of this to cover your $1K cost, but at least that’s a limited amount, and you’re only signed up for a trial period. I’d recommend that you go ahead & try it out & do as much testing as possible during that time, to see exactly what value those points give you. I’m sure they’ll want you to sign up permanently (for an additional cost! ), so you can be as informed as possible when that time comes, to see if it’s going to provide value for you or not. I’ve got so thanks for confirming my thoughts on the matter. Thanks for your message! I’m glad you found some useful info here, that helped confirm your decision. If we decide to sell our timeshare unit in 2017, can we still use our 2016 deposited week to exchange through interval international or will we lose it? I have a timeshare with Diamond Resorts. The points charged for a 2 bedroom unit are much, much lower than the same unit if we were to use Interval International. Do you know why that is? In years past, I booked through Interval because the availability was better than through Diamond. Thanks for writing! I’m not sure I understand the question, but are you talking about using Interval points vs. Diamond points to book the same timeshare? If so, then the important thing is that points in one system are totally different than points in another system. It’s like Australian dollars vs. US dollars vs. Canadian dollars. They may be called the same name, but they’re not the same thing, and prices in different dollars can vary widely, just like they can with points. I happen to own ten Hyatt 2 bedroom units, all diamond weeks and purchased from resale for about 20% of the original price. I figured out the scams many years ago and have used my knowledge to my benefit. They tell people that the system works easily because people are always willing to give up their weeks….Ha, what BS. They don’t tell them that Hyatt and other local brokers in the towns offer to market their owned weeks so to recover the maintenance fees. In winter months these brokers are very easily helping the owner recover some of their weekly costs. This process limits the amount of units that other timeshare owners are told they can trade into……….BTW……..if you would like to go to Aspen during mud season or when the lifts are closed you can certainly get in. But then you could buy a room at the St Regis for $150 per night in May in Aspen. As for converting your weeks to points, good luck……….the only thing that ever appears in the pool is undesirable weeks at undesirable resorts, in general. Or you get Caribbean Islands that give you a free room but you must by their meal plan for $350 per night per couple. So as far as I am concerned the program is a big scam and unless you know the loopholes I wouldn’t trust a word they say…….remember it is all about the money and interval will figure out how to win the game. So when you want to stick your toes into the water, remember it is tainted with greedy blood. Buyers are brought into these sales presentations with sharks that are looking to make commissions and will lie, lie, lie! Deanna, I realize that you try to stay as politically correct with your responses………..appreciate that but I think that the industry should have a “fact” site like they do for political candidates. Thanks very much for your comments. I appreciate you sharing your inside look into how the system works at these high priced ski resorts, and why it simply does not work the way that sales people tell prospects it will. That is why there are so many disappointed timeshare owners out there, who (rightfully) feel they were sold a bill of goods. I would love to see the whole industry approach of high-pressure and less-than-honest sales pitches change. I love the idea of an industry “fact site”. I don’t think I’ll be the person to run it, but it’s a great idea. Maybe somebody out there would like to take up that challenge? Thanks again for writing! – Deanna. Hi Deanna. My in laws own two timeshares, both linked to II. My mother in law thought she would be able to easily get rid of timeshare 1 which has not been the case. I have reluctantly agreed to transfer timeshare 1 to me and my husband so they will not have to continue to pay maintenance fees. This timeshare is currently in the points program. It was my understanding that I would not receive the points they currently have but assumed I would then accumulate my own points. I am questioning that from your article. Are you saying I will have to pay extra to get back in the points program? We do not like the home location so we will always want to exchange or use points. The info that I’ve gotten from II is that Interval points do not transfer to a new owner with the sale of the timeshare, and that the new owner would need to pay again to get into the points program. However, I do not know how this would work if you are gifted the timeshare from your MIL, instead of buying it. It’s possible that there’s a different rule for gift transfers. Otherwise, remember that you do not need to pay for the points again in order to use the timeshare at different locations. You can always keep it as a week, and exchange it that way, and avoid paying that additional cost. Hi Deanna, We are points owners with II and are trying to go to a good resort on Maui next year in May or June. We’ve had our search in for a couple months now with no results. What do you think our chances are of getting a good resort (like Westin Ka’napali or a Marriott property)? We had a couple hits for mediocre resorts early on, but narrowed our search to about the best 15 properties. Thanks! The resorts you mention are going to be tough to get. There aren’t a ton of the top-tier resorts that end up in Interval. E.g. Many Marriotts will go through their own points program, or owners of high-demand weeks may rent them out for cash. Marriotts that do go into II are subject to a company-preference period, so they’re only available for other Marriott owners for the first 3 weeks in the system. A Maui Marriott would almost certainly be scooped up before it is ever available for other exchangers. That’s not to say that these are totally impossible, because it could happen, but it’s not all that likely. One approach you could try is to open up your search to a wide range of resorts — any place that you could be comfortable staying. When you get a Maui match, take it even if it’s not your favorite place, then set up ePlus and see if you can get a retrade into a better property. That way at least you’ll know you have SOME Maui vacation locked in, while you continue searching to see if you can get something better. I am a Hyatt owner and been frustrated with II. II states that if you deposit early, you increase your chances of a desired trade. I see no data to support this, Hyatt also claims that because you have a superior property you have more trading power. I have specifically asked over 15 Hyatt salespeople about this and not one has been able to give a reasonable answer.I will say that almost all the Hyatt properties are in great places and very nice. Thanks for your message! I also find the opaqueness of II to be frustrating. They don’t tell anybody exactly how they decide who gets what, which leaves everybody guessing as to what they’ll be able to get. Here’s the scoop as far as I know it… II wants you to deposit early, because that locks in your deposit, and gives them more time to get an exchange for it. However, that doesn’t really affect your trading power, unless you’re getting closer to the time of your check-in date. Depositing 1 year in advance vs. 2 really only gives you an advantage in that you have the possibility to get any vacations that come up 13-24 months beforehand. Once there’s one or more pending requests in the system, incoming vacations are matched to people who have searches set up, with preference going to the person with the highest value deposit. Unlike RCI, II doesn’t have any numbers displayed, so there’s no way to see exactly how your Hyatt would rate compared to something else. Hyatts are certainly quality properties, so I’d expect them to have good trading power, but how would a 1-BR Hyatt compare to a 2-BR something else? There’s no way to know for sure, since it’s all hidden by II. Hope that helps a bit! – Deanna. Like another writer above, we just sat through an Interval International sales pitch on the point system today and walked away, reluctantly though. And like the previous poster stated, “the most compelling aspect was the promise of increased availability in resorts with high demand.” We were also told that owners in the point system have a 97% chance of getting into the resort of their choice within two years and a 100% chance beyond two years. The price seemed very reasonable ($8k for 60k points per year) to pay off in 10 years or less, and the maintenance fees ($800/year) weren’t too bad either. And they said that a typical 2-bedroom in a high-end resort in non-peak season (we have 5 kids so would need at least something that large every time) would be about 4k points per night (plus a flat $189 “booking fee” per trip), and a bit higher for peak season (how much more they didn’t say! ), which makes sense. All of this nearly had me sign up…except when I went to check out reviews online on the spot, it was no exaggeration that 99% of the reviews were negative. Now, I was confused also because most of the reviews were people who “traded their weeks” from other timeshare companies, which doesn’t seem to apply to our situation because we don’t have any weeks to trade or cash in…we are brand new to this and would only have our 60k points to start off with. Most of the complaints were terrible customer service, no availability at top resorts in peak season, outdated websites, etc. I like to think of myself as savvy traveler and booker, I have the ability to book a year or two in advance, I can vacation in non-peak season if necessary, I’m open to all kinds of resorts as long as there are great pools/slides/lazy rivers for the kids to have fun…in other words I’m pretty flexible. But all these negative reviews really scared me off while I was sitting there. Honestly, if I had seen like only 5 great reviews of people who were happy with their points system (and not talking about the negativity of “trading in” from another resort/timeshare company), I would have purchased on the spot. I really liked what they were pitching, and 60k points/year would probably mean three 5 night vacations per year for us (assuming 4k/night for a two bedroom). Do you think I walked away from a good deal and should I go back and purchase this deal? (a) If you look at the points chart above, you’ll see that a 2BR at a top-tier resort runs 77,000 points for a week in low season, and 115,500 a week in high season. That works out to 11K points/night low season, and 16,500/night in high season. How does this square with the 4K/night you heard in your sales presentation? Best of luck with it, – Deanna. Thank you for the great information! In addition to being Disney Vacation Club members, which we love, we recently purchased 60 weeks at Karisma resorts. No maint fees and the 60 weeks are floating. We purchased with the idea of exchanging most or all of the weeks. We are allowed to deposit up to two weeks per calendar year per exchange company. So far we’ve deposited two weeks into RCI, combined the two, and traded for a Hilton resort in Orlando which we were very happy with. Next year, using RCI, we plan to combine 4 weeks (two years of deposits) and exchange for one week in NY. Being limited to depositing two weeks per calendar year per exchange company, and having so many weeks to use (my wife and I are in our late 50s), we are trying to find a second exchange company (beyond RCI) that will work well for us. I really like the idea of being able to combine our deposited weeks for one higher quality week. I’m wondering if the II points system would work well for us? For example, let’s say we deposited two weeks into II, and received 50,000 points per week credit. I assume we could take the total 100,000 points and use them to trade for a one week vacation? And further, let’s say we deposited two weeks in December of 2017 and two more weeks in January of 2018, and assuming the same 50,000 points per week, would we be able to combine all 200,000 points to trade for a one week vacation? Any information you can give me, or point me to so that I can better understand the II points system (or any other exchange program or company that would suit our needs to combine our deposited weeks for a higher quality week) would be appreciated. Thanks for your comment! Combining your points from 2 years worth of deposits might work for what you want. I’m assuming your timeshare is associated with II, because of course that’s required. Before paying to upgrade into the points system, I’d recommend that you verify exactly how many points you’ll get for your deposits, and see how that compares with the points required to book what you want. With that info + the cost they’re requesting for the upgrade, you can make an informed decision. I’m sorry to hear about the situation! Here’s my two cents, for what it’s worth! – Theoretically, the rental fees should be used to offset the costs for those forfeited weeks. I don’t know how the numbers really work, but for the sake of example, let’s say they’re all the same as yours – actual cost would be $900-$267 = $633. If the company can’t rent it out for that much, then the remaining cost would have to be covered by other owners. On the other hand, if they could rent it out for costs or more, then you shouldn’t have to chip in at all. – I wish I could expect a good resolution from your board. You’re right – if you’re paying for more than one unit, it would be fair for you to get the benefit of more than one unit! But unfortunately, I don’t think much will come of it unless you can get more owners involved & put more pressure on them. It might be possible, but I doubt it will be easy. At the very least, I think they owe you some better answers. Good luck with it, and I’d love to hear of any developments!